In 1702 Cogan records ‘a mud-walled thatched chapel in Oristown’ . For the soul of John Reilly Oristown, who first built a chapel here, at his own expense in the year of Our Lord 1730. It was a T-shaped building. 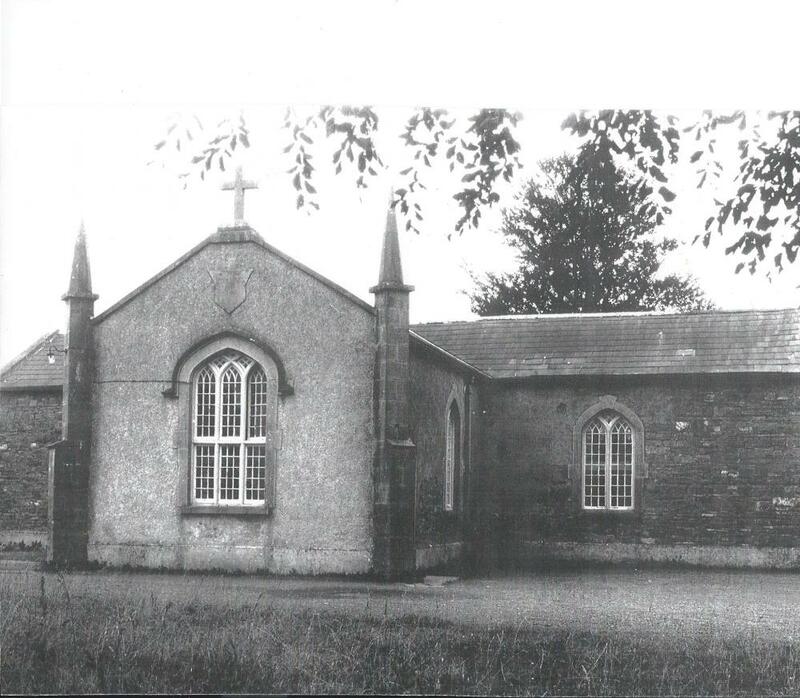 It continued in use for about forty years until replaced by a new church, built in 1841, by Fr. Matthew Kelsh. The church was renovated in 1889. A high Altar was erected at the expense of Mr Richard Allen of Fyanstown where Larry Mulvany now lives). Richard Allen. Twin of Anne, born 15/1/1855, baptized 17/1/1855. Son of Bridget Phillips and Christopher Allen. Sponsors: John Reilly and Alice Hand. 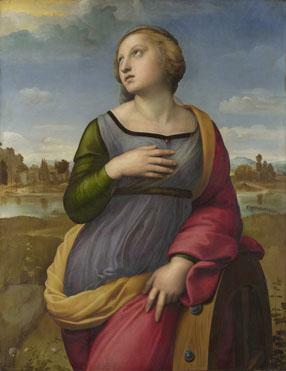 The church was dedicated to St. Catherine of Alexandria. 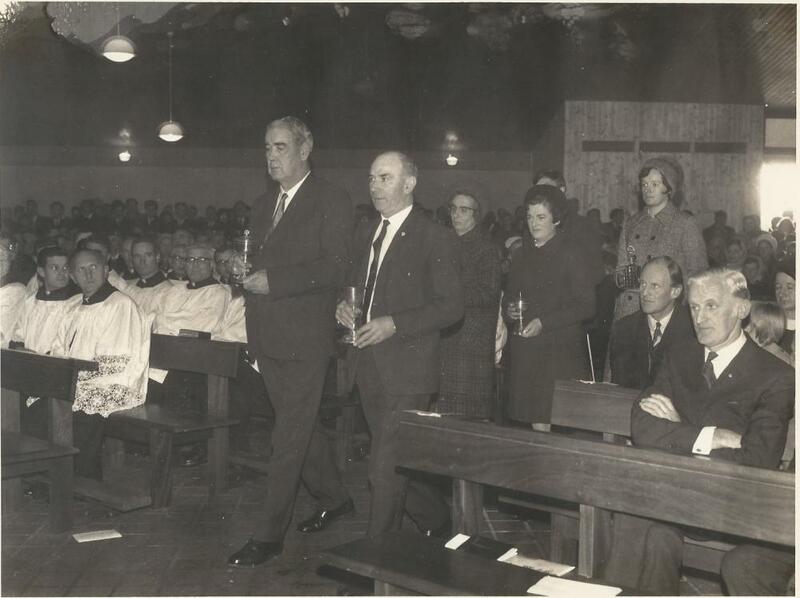 The foundation stone of the present church was laid on 7 September 1969 by Most Reverend John McCormack, DD, Bishop of Meath. Inserted in foundation stone were a parchment scroll by Mother M. Carmel, Loreto Convent, Navan and signed by a number of the parishioners who worked to collect funds for the new church. the Foundation Stone of the church of St. Catherine at Oristown was solemnly blessed and laid by His Lordship, Most Rev. John Mc Cormack D.D., Bishop of Meath on the 7th September 1969.Buidhaochas le Dia. The scroll is sealed in plastic scroll-case and is signed by Bishop, Parish Priest, Curate and members of Parish Committees etc. Also included were some current coins and a newspaper of the day. The site was donated by Miss Christina Martin. The architect was James Fehilly & Associates, Dublin and the contractor was Cormac Murray, Ardsallagh, Navan. The contract price was £47, 882. Very Rev. Fr Vincent Kearney was the parish priest responsible for the project. 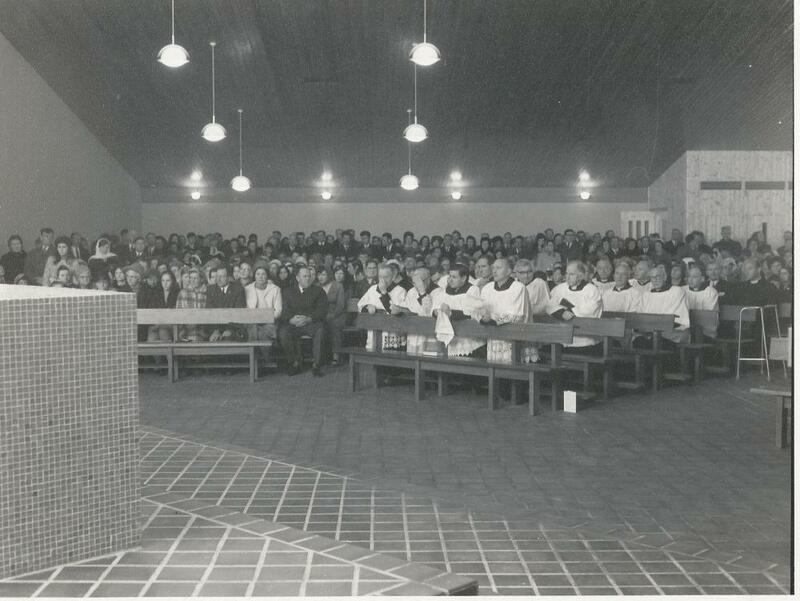 The new church was officially opened and dedicated on 15 November 1970. Very Rev. Michael Jennings, P.P. Drumconrath and Meath Hill preached in both Irish and English. The Choir for the occasion was under the direction of Mrs Nuala Gilsenan N.T. Gibbstown N.S. and Mrs Stuart-Mills was the organist. Patrick Colwell, Richard Colwell, Anthony Diamond, Seán Diamond, Éamonn McGarry, Daniel McGarry and John Colwell. The Presentation of the gifts was made by Mr P.B. Kinsella, N.T., Principal Oristown N.S, Mr V. Garvey N.T., Principal Gibbstown N.S., Maureen Gavin, Anne Mullen. Michael Carr, Gibbstown and Helen Lee, Oristown. The altar was prepared for Mass by Mrs Tom Blake and Mrs Niall Sheils, N.T. In April 1971, a new tabernacle was installed, the grounds were landscaped and the Blake family of Randlestown donated a carved wooden statue of Our Lady and Child imported from Italy. In 1984, lighting was installed in the church grounds. The following year new fencing was erected along the site boundary. In 1987 the interior was painted and the church lighting was upgraded.